Save-A-Turtle Art Contest Calendar is Ready! 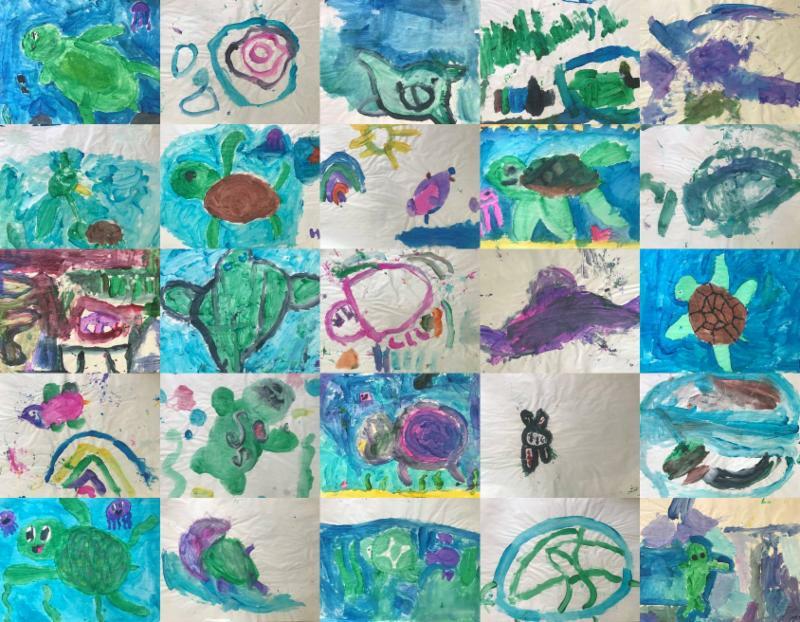 We would like to take this opportunity to thank you for participating in our Sea Turtle Painting Contest at Ocean Fest in April. Wow! What a great event it turned out to be! 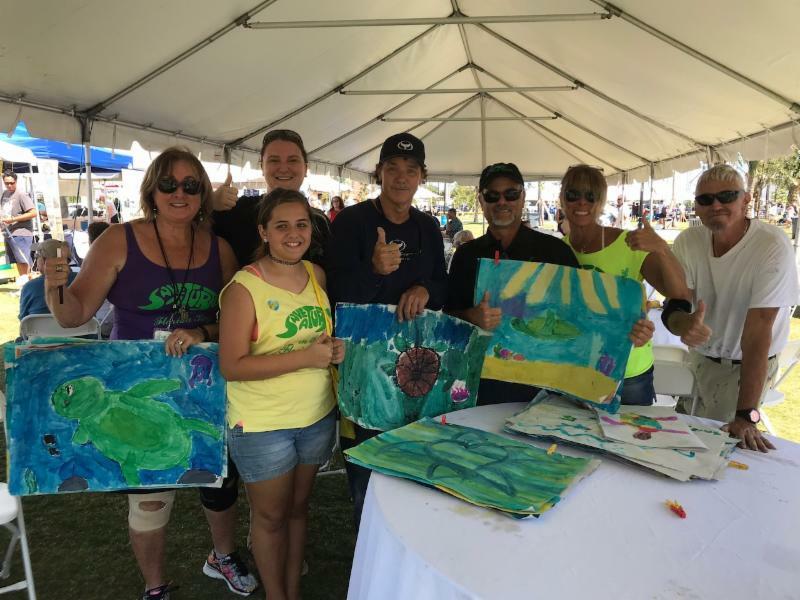 WE are so grateful to each and every one of you for coming out and joining us, and to Wyland for his continued support of Save-A-Turtle. As you know, Wyland, our guest celebrity judge, chose the winning paintings which are to be printed in our 2019 Save-A-Turtle Calendar. Each month features a different artist's painting, and the back cover is a compilation of the remaining entries. (above left photo). The calendars will be sold as a fundraiser for our non-profit organization to be used for education and outreach programs throughout the Florida Keys, as well as provide supplies to our beach walkers for nesting patrol for the 2019 season. The calendars are ready to go to print and will be available in a few weeks. Each winner will receive a package with their calendars soon there after. We've added TONS of turtle facts and pictures, making this a truly spectacular calendar, which also makes it a wonderful holiday gift for family and friends! The calendars will be sold for $15.99, with a pre-order price of only $12.99 including shipping! If you'd like to purchase one at this special price, please click below and we will mail your calendar once they are printed. Thank you again so very much for your participation and your support! Flippers Up!